Welcome to this Week in Palestine, a service of the International Middle East Media Center, www.imemc.org, for June 29th to July 5th 2013. The Palestinian new prime minister focused this week on the deteriorating economy, and the Israeli army attacks leave one Palestinians killed and five others injured this week. These stories and more, coming up, stay tuned. At the villages of Bil’in and Ni’lin, residents and their international and Israeli supporters, managed to reach the wall. Soldiers stationed there fired tear gas and chemical water on protesters. Many civilians were treated for the effects of tear gas inhalation. Meanwhile at the nearby village of al Nabi Saleh, Israeli soldiers attacked the villagers and their supporters before leaving the village. Soldiers used tear gas and chemical water against unarmed protesters. Later troops invaded the village and fired tear gas into residents’ homes. Many were treated for the effects of tear gas inhalation. Elsewhere, at al Ma’ssara village, Israeli troops stopped the villagers and their supporters at village entrance then forced them back using rifle buts and batons to bush people back, no injuries were reported. As Palestinian Authority continues to face financial difficulties amidst stalled peace process, Palestinian Prime Minister, Rami Alhamdallah, said this week that he will focus attention on sorting out economic problems. This week, United States’ Secretary of State, Jhon Kerry, failed to bring back Palestinians and Israelis to the negotiations table, as he could not secure Israeli halt of illegal Israeli settlements construction. Kerry still hopes certain progress could be achieved, if the parties concerned are willing to restart peace talks. Palestinians wants Israel to stop all those constructions so that talks could be resumed. In the meantime, Palestinians in Gaza hope recent change of the regime would not overshadow Palestinian-Egyptian relations negatively. Palestinian Prime Minister of Hama, Islamil Haniya, downplayed the removal of Islamist president Mohamad Morsi of Egypt, saying that Egypt remains the closet country to Palestine and the Palestinian people. This week Israeli army invasions were concentrated in the cities of Jenin, Ramallah, Hebron and Bethlehem. Two invasions this week were also reported in the Gaza Strip. Among those kidnapped by the army from the West Bank this week were six children and Palestinian law maker Mohamed Abu Tair. 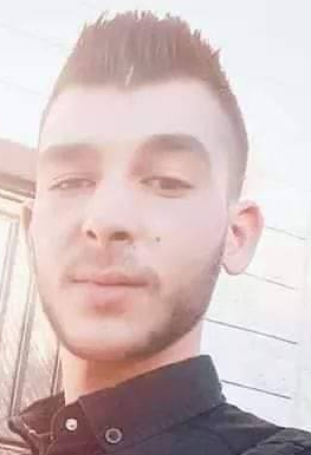 On Monday Israeli soldiers killed 19 year old Moutaz Sharawna during an invasion targeting the town of Dora near Hebron city in southern West Bank. Soldiers shot Sharawna then drove over him with their jeep. Troops claimed he tried to climb on the jeep. His nephew, Bahaa (22) sustained a bullet wound while trying to rescue his uncle. Sharawna, a student at a Palestinian security college in Jericho, is the ninth Palestinian to be killed by the army during West Bank invasions since the beginning of the year. On Wednesday morning clashes erupted between Israeli troops and local youth at the town of Abu Dees near Jerusalem in central West Bank. Israeli troops stormed the town and searched homes then clashed with the local youth, local sources reported. Many were treated for the effects of tear gas inhalation. On Thursday clashes erupted between local youth and invading Israeli troops at Al-Jalazoun refugee camp, east of the central West Bank city of Ramallah. No injuries were reported. In the Gaza Strip this week , Israeli forces continued to attack fishermen at sea. On Wednesday, Israeli gunboats stationed off northern Gaza Strip coastline, opened fire at Palestinian fishing boats that were sailing in the allowed 6 nautical miles offshore. As a result one fisherman was lightly wounded. For IMEMC News this is Eman Abedrabbo. And that’s all for today from This Week in Palestine. This was the Weekly report for June 29th to July 5th 2013 from the Occupied Palestinian Territories. For more news and updates please keep visiting our website at www.imemc.org. Today’s report has been brought to you by George Rishmawi and me, Ghassan Bannoura.